This is a list of the principal local attractions, places of interest, and places of worship. You might also like to look at a separate webpage listing free events throughout the year. 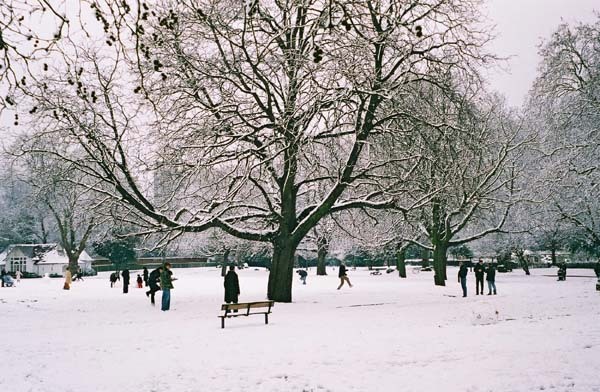 Vauxhall Park - pictured above - and Kennington Park (pictured below) are lovely throughout the year. Both have good playgrounds and excellent cafes. The Imperial War Museum is a "must see", not least because it avoids glorifying war but examines war from many different perspectives. The excellent Vauxhall City Farm on Tyers St is open every day except Friday and Monday from 1030 - 1300 and 1400 - 1700. There are two fringe theatres in the area. The White Bear Theatre Club at 138 Kennington Park Road - very near Kennington tube station - was voted "Best Fringe Venue" and "Best Up and Coming Theatre" in 2001. There are plays most evenings and tickets are excellent value at £8.00. And the Oval House Theatre hosts a wide range of plays, exhibitions and other events. It can be a good place to spot up and coming talent:- Pierce Brosnan began his career here. There is a well established and lively gay scene around Vauxhall Cross. The best known venue is the Royal Vauxhall Tavern where numerous performers began their careers, including Paul O'Grady (aka Lily Savage). Or you could check out the gay scene along the road in Camberwell. There is a full listing at the Gay Camberwell website. The RVT is London's longest-surviving gay venue. The pub was built in 1863, only four years after the nearby Vauxhall Pleasure Gardens closed its doors, and first became popular as a music hall venue before its cross-dressing performances became popular in the 1940s onwards. The best walk in London starts at Vauxhall Bridge and follows the south bank of the Thames to beyond Tower Bridge. The views are spectacular, you pass scores of interesting places, and you don't cross a single road until you are very close to Bermondsey Station - just over 4 miles from Vauxhall. And if the tide is out (check the times at Easytide) then you can get down on the foreshore at a number of places, including onto a rather good sandy beach just 300 metres or so downstream from Waterloo Bridge. The Horniman Museum is the premier south-of-the-river museum and includes a very attractive and interesting aquarium (I particularly like the jellyfish!) as well as some fascinating African exhibits, a mini Natural History Museum and frequently changed special exhibitions. There is really is something to interest every age and every taste, all set in a beautiful hill-top park. The address is 100 London Road, Forest Hill, London SE23, admission is free, and bus 185 (from Vauxhall and the Oval) stops right outside. The Cuming Museum is a miniature British Museum and the nearest thing there is to a museum of local history. 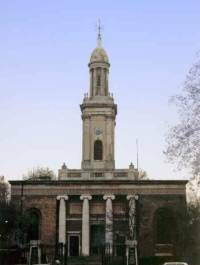 You can find it in the Old Walworth Town Hall at 151 Walworth Road, just the other side of the Elephant & Castle. Between 1780 and 1900 Richard & Henry Cuming collected over 100,000 objects from all over the world. Henry left his collection to the people of Southwark, and the Cuming Museum opened in 1906. The Cinema Museum has a superb and unique collection of cinema memorabilia (lots of movie cameras that can project any format, posters, ushers' uniforms, chairs, doors and windows!) and is housed in the old Lambeth Workhouse where Charlie Chaplin ended up as a child. Its address is The Master's House, 2 Dugard Way, London SE11 4TH and, although it does not have regular opening hours, tours are readily arranged by appointment. 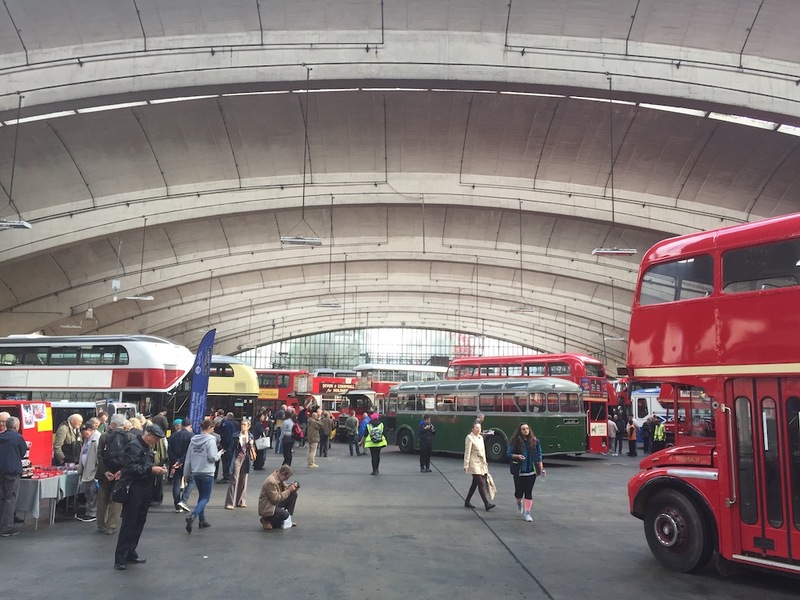 In 1952, the newly completed Stockwell Bus Garage had Europe's largest unsupported roof span. The garage could originally house 200 buses, required at a time when the last trams were being replaced by buses. There was a steel shortage at the time, so concrete was used for the roof structure instead of the steel girder structure that had previously been the norm. At Stockwell, the opportunity was taken to create a bravura piece of reinforced concrete design, building a formerly residential site cleared by the Blitz. mechanical typecasting ('hot metal'), from the Monotype Corporation. Open Days used to be held each month, including demonstrations of a range of skills, usually including punch and matrix making and type casting. But these have sadly been discontinued. Lambeth Palace, next to Lambeth Bridge dates back to the 1200s. But it is usually only open during Open House Weekend (see Free Events: September, below.) or for the Lambeth Parish Fete (Gardens only) in June. St George's Roman Catholic Cathedral in Lambeth Road SE1, is a Pugin masterpiece re-built after war damage. Pictured on the left, St Peter's Church in Liverpool Grove, just off the Walworth Road, is the best preserved of the churches designed by Sir John Soane, one of England's greatest architects. The weather vane on top of the dome was controversial at the time the church was consecrated in 1825. 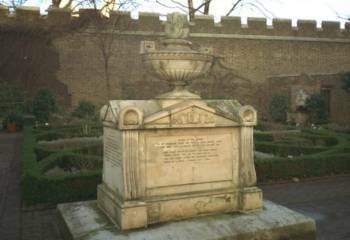 The son of a bricklayer, Soane was the architect of many famous buildings, including the Royal Hospital in Chelsea and the interiors of 10/11 Downing Street. He turned his house at 12 Lincoln's Inn Fields into a wonderful museum, which is still open to the public. St John's Church (on the roundabout at the South/East end of Waterloo Bridge) hosts free concerts by the excellent Southbank Sinfonia every Thursday from 1800-1900. And you can have a glass of wine, too! St John the Divine in Vassall Road SW9, is "the most magnificent church in South London" according to Sir John Betjeman. St Mary's Greek Cathedral, 305 Camberwell New Road, is a little-known South London jewel with a splendid Byzantine interior. London Duck Tours used to use amphibious vehicles to give their guests a run round Westminster before the excitement of splashing into the Thames at Lacks Dock (just north of the MI6 building, itself just north of Vauxhall Bridge) for a sail down to Westminster Bridge and back. The tours departed from the back of the Marriott Hotel, on Westminster Bridge, and places could be booked on 7928 3132. However, the service is currently suspended because the slipway is being used to build a new super-sewer under the Thames. The London City Singers are a small capella music group for women which meets and practices in London near St Paul's Cathedral. They would love to welcome anyone who has a passion for singing or would like to try it out. The Bonnington Centre in Bonnington Square, just off Vauxhall Cross, offers a vegetarian cafe and wide range of activities - from tango to yoga! Local residents interested in photography might like to join the Camera Club at 16 Bowden Street, just behind Kennington Cross. The club is in attractive renovated premises which offer a superb range of facilities, including a digital suite for manipulating and printing digital images, as well as a studio and darkroom for more traditional photo technology. Lambeth residents get a one-third discount on the normal annual fee.